And we sell soil test kits! Scholze Ace Home Center is your one stop shop for food plots! We feature a complete line of wildlife food plot products that will attract and help maintain a variety of wildlife. Whether your goal is deer, turkey, small game, or song birds we can help you determine what will work best. Small backyard plots to multiple acre plots, we can help you out. Stocking products from Antler King, Deer Creek, BioLogic, Heartland, and Whitetail Institute insuring the best mix for your project. If you want to improve the health of your soil Antler King makes two great products Plot Max and Jolt, The Jolt is a Fertilizer and the Plot Max is a conditioner they come in liquid form. We also sell 10-10-10 and pelletized lime. We have some great deer attractants such as Acorn Rage, Final Feast, Apple Obsession & Sugar Beet Crush. When it heads into the rut all of our deer odors such as “Doe In Heat” “Buck Scraping” and “Buck Estrus” will be an aid. All of our human odor eliminators also will be handy for any hunter who wants to get close to that trophy buck, it follows suit that you wash your hunting clothing with the laundry soap, shower and bath with the body soap and spray with the field spray. Nothing will get you closer or give you the ability to see more deer. While you are in the food plot area check out the trail cameras from Wildgame Innovations. We can order from Big Rock Sporting Goods and Robinson Outdoors, the home of Scent Blocker hunting attire where Nothing Gets You Closer. We can also order leading brands of arrows such as Carbon Express, broadheads such as Rage and Muzzy, trail cams, game ears, a variety of calls, tree stands, blinds and much more! We also can help with your soil test needs. Lime and fertilizer is available to maximize the potential of your food plot. 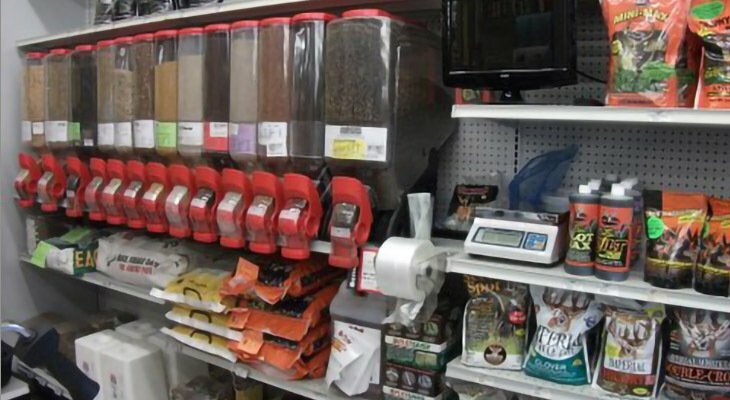 Buy Your Seed in Bulk! Mix-n-Match To Get Just What You Want & Just The Amount You Need! Do you need tools to help you prepare and maintain your food plot? 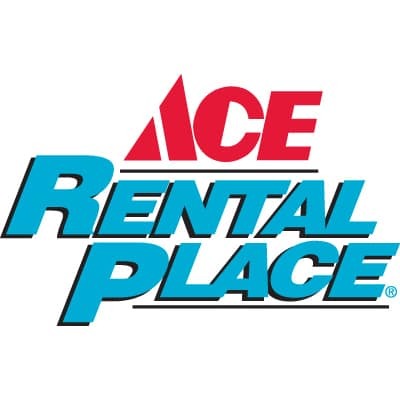 Get everything you need at our Ace Rental Place !